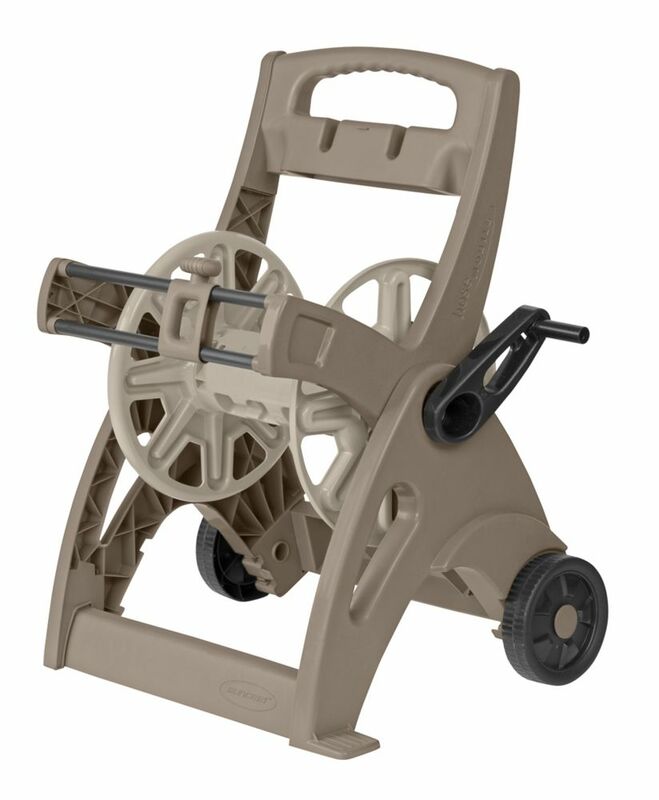 The Suncast Hose mobile hose reel cart provides easy and convenient storage of up to 225' of garden hose. Sturdy resin construction makes it durable and easy to maintain. Folding handle provides convenient storage and transportation. The Rubbermaid 7.5 cu. ft. Plastic Yard Cart offers a wheeled cart for heavy-duty use around the yard. The sturdy, structural-foam construction resists denting, rust, chipping and peeling for lasting durability. The molded-in 1-piece handle provides stability and the pneumatic tires lend versatile mobility to tackle your chores in a timely fashion. Hose Mobile 225 ft. Capacity Hose Reel Cart The Suncast Hose mobile hose reel cart provides easy and convenient storage of up to 225' of garden hose. Sturdy resin construction makes it durable and easy to maintain. Folding handle provides convenient storage and transportation. Hose Mobile 225 ft. Capacity Hose Reel Cart is rated 3.0 out of 5 by 1. Rated 3 out of 5 by ShawnYEG from Nothing fancy but it works! Perfect for that 100-150 fit hose. Easy to use. No setup required and it does what it’s supposed to do. I wish the hose didn’t kink as bad as it does where it connects on the reel but other than that it keeps the hose off the lawn.